Darby Park Executive Suites are in a prime downtown location. 75 units. No washer or dryer inside the apartment, use communal laudromat. Electric hobs, no gas hobs in the kitchenette. Car parking lots, breakfast and morning bus shuttle service are complimentary. 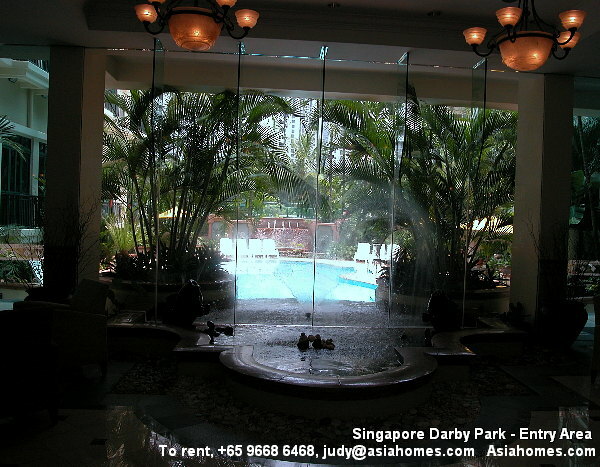 All apartments have long bath tubs with shower and hair dryer. 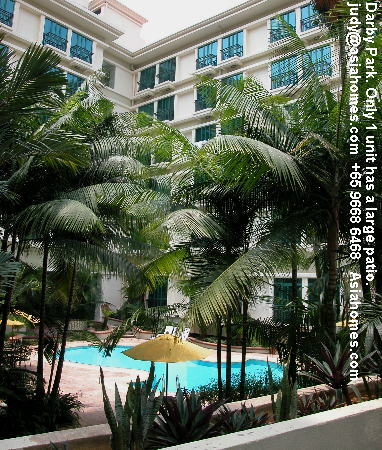 Extra beds are available (single beds at S$20 per night). 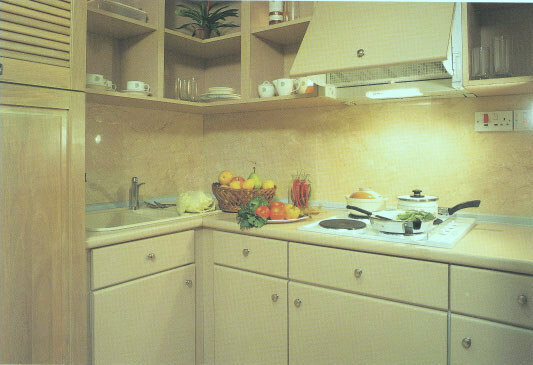 Kitchenware & crockery, cutlery and cookware, electric hobs and cookerhood. Refrigerator, microwave oven, oven toaster & rice cooker. 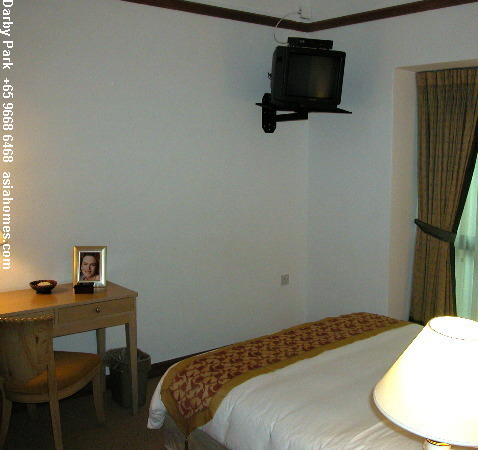 Dual-line telephones & in-room fax, televisions with Singapore Cable Vision channels. Daily bed-making & room cleaning (except holidays & Sundays). Changing of linen & towels 3 times a week (except holidays & Sundays). Service charge for maintenance of rounds & common areas. Utilities (water & electricity) without a cap on use, Continental breakfast from Monday - Friday (except holidays). Wall mounted television set that can be tilted to your desired level. Free car park and utilities. Free shuttle bus service 7.30 am and 8.15 am only to Orchard subway, Raffles Place (Clifford Centre bus stop) and Suntec City Tower 2. Telephone calls, Communal washer ($4.00 per use) and dryer $4.00 per use), Extra single bed, not foldable bed ($20 per day), Goods & Services Tax. LEASE TERMS: Minimum 7 nights. Less than 1 month stay - rental equivalent. 1-2 months - 1 month. More than 2 months - 2 months. Stamp duty is payable for leases more than 6 months. To confirm reservation a booking fee of $500 is required and is non-refundable should you cancel. However, it is used to offset against the deposit. 1-bedroom, 500 sq ft. Has one bathroom. DELUXE As rentals keep changing frequently, it is not possible to list updated rentals. 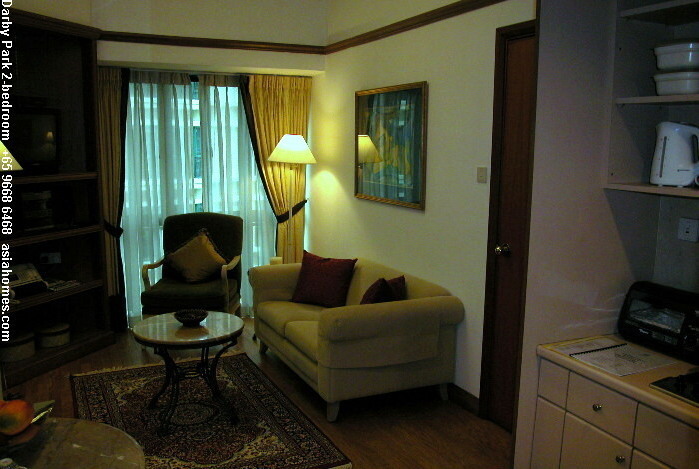 As a general guide, a 2-bedroom serviced apartment in similar locations rent for at least S$9,000 per month in May 2008. Please note that there are no more $3,000 - $4,000 rentals for one-bedroom. Budget for >$6,000 per month. Only one bathroom. No dining area but a small round dining table beside the kitchenette. Suits expat couple but not 2 singles. 2-bedroom, 800 sq. ft. PREMIER. 2 bedrooms with own TV set and separate living and dining area. Has 2 bathrooms. Suits 2 singles and more economical for corporations. 3-bedroom, 1100 sq. 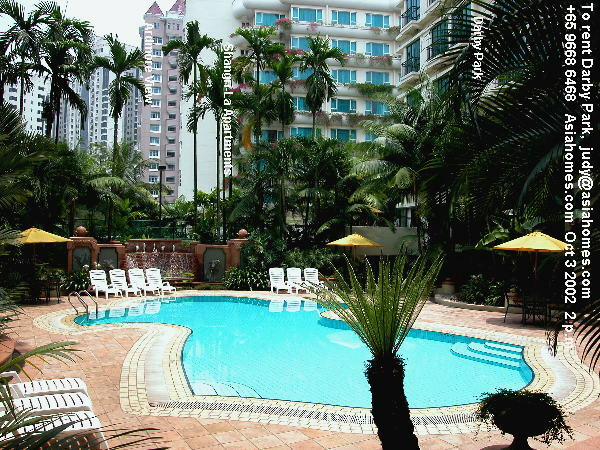 ft (is a PREMIER 2-bedroom with one extra bedroom). Suits expats with 3 children. Visitor lobby is calming and impressive. Reception to the right. Resort-like ambience and a big swimming pool. No balconies or patio except for one 2-bedroom unit with a large patio. Swimming Pool, Gymnasium, Sauna & steam bath, One tennis Court, Putting Green & driving bay, basement car park with direct lift access to all suites. Communal launderette. GREAT LOCATION NEAR FOOD JOINTS AND SUBWAY. 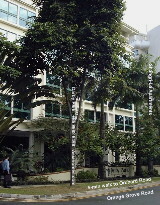 Near Shangri-La Hotel. Jason Supermarket at Orchard Road is a 2-min walk. An 8-min walk to the Orchard subway, Tanglin Club, the American Club or Tanglin Mall. We are housing agents, NOT serviced apartment operators. Therefore, our answering service, tel: +65 9668-6468 will NOT be able to provide you telephone numbers of various serviced apartment operators as the answering service does NOT have them when you phone. We contact the agents to book for you what you want. This is the free service for expatriates provided by asiahomes.com for expatriates who may not be able to source directly.